It’s a question I get asked a lot – where do you get your ideas for stories? The answer is anywhere and everywhere. I call it ‘magpie magic’. 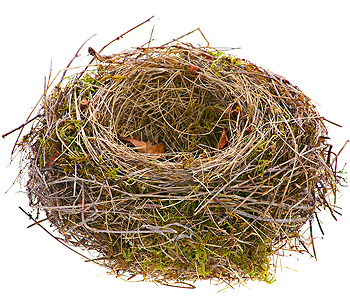 Just as a bird gathers feathers, grass, twigs, leaves and God knows what to make its nest, anyone who writes has a mind open to gathering a snippet of this, a thread of that and a grain of something else that may set him or her on the way to making a story. Once the scraps of inspiration are there – the ideas that push you to pick up the pen – the outline (the scaffolding) of the nest comes next. That’s when your mind develops the story in ‘what if’ style. What could happen there, you ask yourself? Who does what where? Layer upon layer of incident and possibility eventually present themselves as you push out the boundaries of the incident or idea or overheard phrase that started it all. Eventually the thread is woven into a new – and often more interesting – story than the snippet that started it. 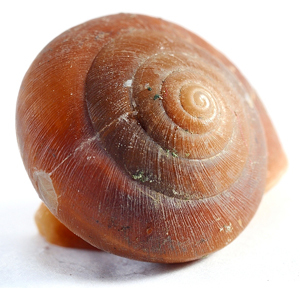 I often think, too, of how some birds hammer a snail shell against a stone until it breaks and releases its bounty. Writing a story is a bit like that. You hammer away at an idea until it spills itself into a reality on the page. What you shake out may be a small idea, enough for the sprint work of a poem or short story, or it may be bigger than that and such a strong story that the urge for the marathon of a novel or full-length play starts thumping in your chest. That’s what’s happened with any story I’ve written but in particular with my two books. On both occasions there has been a dramatic prompt – an ‘aha’ moment. I knew the minute I heard Rose Quinn’s story that it was something I had to write. A woman dying in an asylum because she wouldn’t live with the man she was forced to marry and being buried in an unmarked grave behind that asylum . . . How many people did her story represent, I wondered? Hundreds? Thousands? Someone had to record her story and I knew, that very minute, that it was a story that was going to take over my life until I had written it out of my head, doing a huge amount of research and reconstructing her story in novel form to bring her to life on the page in Restless Spirit. The gut prompt for my second book – my first novel, Deny Me Not, being launched this week, was even more dramatic – and more personal – and came hot on the heels of completing Restless Spirit. The day after I posted the Rose script I took my 86-year-old aunt to hospital. She was diagnosed with liver cancer that day and was to sadly die six weeks later but three weeks before she died we got a shock. Our aunt, we discovered had a daughter we didn’t know existed. Very soon, after that remarkable and dramatic time, I knew that secret babies and the people who made them and the families who discovered them would be something that I would be compelled to write about – maybe write even more than one book. This novel, Deny Me Not, is not my cousin’s story but it is the result of the journey that my magpie mind took me on after the emotional drama of that time. As well as the impulse to tell a story that you can’t not tell, writing is often about trying to grasp a bit of meaning and closure out of a lot of confusion and emotion – stuff that life throws at us wholesale. Anyway, I hammered away at the shell of the story of Deny Me Not for many a day, plotting and planning and scribbling until I shook out the story that it has now become – over 400 pages long and one that, I hope, will keep you wanting to turn the pages. Deny Me Not is being launched in Wexford on the 27th March so it’s time to get the glad rags ready and celebrate a marathon project’s completion.